Larissa's World: WooHoo! Blogaversary and 100 Followers GIVEAWAY!!! WooHoo! Blogaversary and 100 Followers GIVEAWAY!!! As I mentioned in my last post, today is my one-year blogaversary! And, as luck would have it, I am also at 100 followers exactly! SQUEE! In celebration of those two awesomesauce events, I'm having a GIVEAWAY! My amazing friend Jackie Dolamore recently went to BEA and ALA, and brought back a ton of ARCs. She gave two to me, and now I will pass them on to you (of course I read them first - lol). The first is FIRELIGHT by Sophie Jordan. 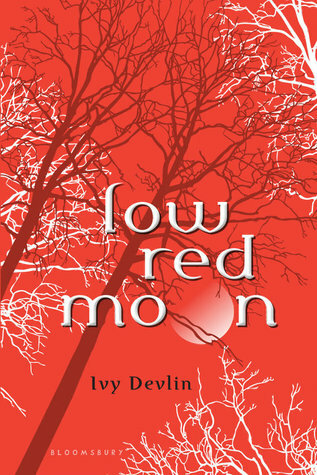 The second is LOW RED MOON by Ivy Devlin. There's a third prize! I'm also giving away a 50-page critique by yours truly! - Spread the word (blog, twitter, facebook): +3 for each, please leave a link. I'm @lchardesty on twitter. Giveaway ends Friday, July 30 at 10pm est. Tara McClendon was my very first follower! Hi Tara! You should go check out her blog! And, of course, my lovely 100th follower: The Brad. Thanks so much for following, Brad! Check him out at bradmouth.com, he's hilarious! That's it! Thanks so much for reading! I love you guys! After I die of a YooHoo overdose in my mid 50's, my children will submit my unpublished manuscripts and get rich. Then, hopefully, they will be so out of control that even the Kardashians would blush. Got you shout on twitter and facebook, which is a good place to find me. I tried to follow, but blogspot is having technical difficulties. I'll come back later and try again. I gave you a shout out on twitter and facebook. Great prizes! Wow! Thanks for the shout out. Congrats on the milestones. I'll see what I can do to spread the word about the contest. Contact: tara@taramcclendon.com; prizes: Firelight looks fascinating. For sure entries: 5 for following, 1 for commenting, 1 for counting = 7. Super prizes and great contest! I could use that critique. I'm following you, linking to twitter, facebook, myspace, the BB and Blogger. Hi! I'm from Verla's (Write On) I love giveaways. I'm having one on my blog too! hey - found you through Rose Cooper (twitter) and i love giveaways too! (i'll be doing one on my blog in mid-august). Congratulations, Larissa, on your 107 followers so far. New follower! 2 points. Amie Borst sent me. Congrats! That is awesome. I'm a follower and those sound like really cool books.